What drives the UK’s entrepreneurs? In the words of Roy Castle, dedication’s what you need – not only to be a record breaker but one of the UK’s many thousands of small business owners. Being an entrepreneur invariably means long hours and big decisions, but what makes them continue with the journey when the going gets tough? 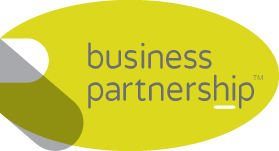 Here at Business Partnership we were intrigued to read a survey of more than 800 of the UK’s business owners by AXA Business Insurance. One figure which didn’t surprise us is that 63 per cent of small business owners are motivated by having more control over their work-life balance. After all, when you work for someone else fitting in the school run and routine appointments can be awkward. More than a quarter of the small business owners questioned say they’re driven by the prospect of early retirement. Almost a third said that they’re keen to stop working within the next ten years, while around 10 per cent are hoping to sell their business during that period. Others have exciting plans for life after work, including moving to sunnier climes or global travel. One fifth of small business owners are looking at a much bigger picture – they want to make a positive difference in the world – and six out of ten quizzed feel that they’re already achieving this objective. Ten per cent say they’re helping people to lead healthier lives and two out of five feel that they’re making their customers happy, which is bound to put a smile on your face every morning. Although financial reward is an important factor, the study revealed that it’s not a priority for most entrepreneurs. The most financially motivated age group is the youngest, with almost 25 per cent of business owners aged between 18 and 34 stating that becoming wealthy is their main priority. At the other end of the scale are 45 to 54 year olds, with two in five responding that acquiring riches really doesn’t matter. Whatever your dreams – to turn your existing skills and learn something new by setting up your own business or achieving the right buyer and the price for your business so you can sail off into the sunset – Business Partnership’s experienced network of business brokers across the UK can help. Visit our offices page for contact information about the regional partner in your area.